I’ve been a big fan of classical Japanese cinema for a long time, and like most other viewers who develop an interest in that country’s movies, my approach route was through the three big names: Ozu, Kurosawa and Mizoguchi. But in recent years I’ve been following other Japanese directors of the 1950s and 60s – Kon Ichikawa, Masuki Kobayashi, Kaneto Shindo among them – and I’ve been struck by the recurring themes of pacifism and anti-heroism in some of the best films of that time; the revulsion for the idea that there’s something glamorous or exciting about a life of violence, even when the violence is supposedly for a good cause; and the reminders of how conflict affects “little people”. These motifs probably come from introspection about the country’s very martial past – especially between the late 19th century and WWII – and you’ll discover traces of them in literature too, often in unexpected places (e.g., a bulky Haruki Murakami novel that’s set mostly in 1980s suburban Tokyo but contains unsettling inserts about the Sino-Japanese conflict). In cinema, this introspection can take the form of a “war is hell” story such as Ichikawa’s Fires on the Plain, about a sad-faced soldier turned away by his own army. Or a horror film – Shindo’s Onibaba – in which a scarred face beneath a demon mask suggests the visages of Hiroshima and Nagasaki survivors. Or it can take the form of a period movie that sharply debunks some of our ideas about those enigmatic warriors, the Samurai. Masaki Kobayashi’s Harakiri is just such a film. There’s a lot that can be said about this plaintive, beautifully composed movie, but I’d like to dwell on an audience-manipulation technique used in its first half – a technique that implicates us in the idea that the Samurai code of “death over dishonour” is an inherently noble one, and then pulls the carpet (or tatami mat) out from under our feet. To discuss this properly, some plot exposition is required. 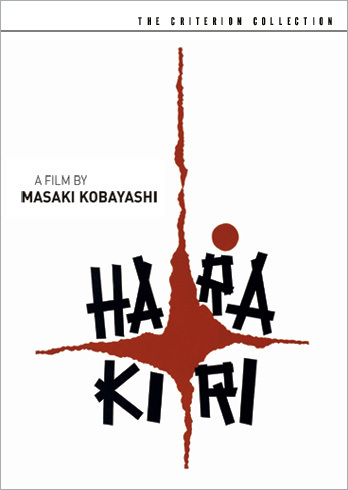 Harakiri begins with a title card telling us that it’s set in the early 17th century, a time of relative peace in Japan. An unemployed Samurai (or ronin) named Hanshiro arrives at the feudal estate of the Iyi clan with a request: being master-less and with nothing left to live for, he wishes to commit ritual suicide (seppuku or harakiri) on their grounds. The estate retainers and their lord, Saito, are sceptical: there have been many recent cases of destitute Samurai visiting wealthy houses and making such assertions when what they really want is money or employment. They try to dissuade Hanshiro by telling him a story about another ronin named Chijiwa, who had come to them a few months earlier with a similar request, and this story is shown to us as a flashback. In the images now presented to us, we see that Chijiwa is much younger than the scruffy, steely-eyed Hanshiro. He’s clean-shaven, somewhat shifty, he doesn’t look like he’s ready to stare death in the eye. From our first viewing of him we suspect that he’s a wastrel seeking easy money, and these suspicions seem confirmed when he expresses almost indecorous delight on being told that he will get to meet the head of the clan (perhaps to be employed as a retainer?) – and later, when he looks terrified on hearing that his wish for harakiri has been granted and the ritual dress is ready. Forcing young Chijiwa to commit harakiri is a ploy by the Iyi clan; they figure it will teach a much-needed lesson to any other Samurai who might want to come a-begging. And at this point in the story, the viewer’s feelings are likely to be divided, especially if he doesn’t know much about the nature of feudalism and the class divide in medieval Japan. For one thing, Lord Saito and his retainers aren’t sneering villains. They speak in restrained tones to each other, talk about the need to preserve the dignity of their house; there’s something melancholy about Saito (an understated, arresting performance by Rentaro Mikuni) himself. Also, if our main acquaintance with the Samurai culture has been through action movies, we have certain pre-conceptions. We have been conditioned to think of Samurai as men who never cringe or beg, and it strikes us as shameful that this young man is using a “noble” ritual like seppuku as a cover-up for his greed. Thus the film, in a way, makes us complicit with the actions of the Iyi clan. But then, as the flashback continues, we see the long, increasingly disturbing scene where Chijiwa is forced to disembowel himself. Further, the Iyi sadistically insist that he do it with his own sword, which is made of bamboo, not steel. Somehow, with great effort, the young man manages to pierce his belly with this wholly inadequate weapon, but it’s impossible for him to complete the ritual, which entails cutting across his chest, left and right, up and down. Meanwhile his “second” (the swordsman who is assigned to cut off the warrior’s head once the self-mutilation is complete) stands about impassively, refusing to bring down his sword and end Chijiwa’s agony. Eventually Chijiwa takes the “easy” way out – he bites off his own tongue. As you can imagine, this is a difficult scene to watch, even though it isn’t too gruesome (this is, after all, a black-and-white film made in 1962). It amounts to a bucket of cold water in the face of the viewer who may have felt that Chijiwa was getting what he deserved. Perhaps some of us even thought Lord Saito only meant to frighten this craven Samurai before sparing his life and booting him out of the gate – that would have made for a nice comic sequence! But what actually takes place is horrific and forces us to think again. Harakiri has only been running for half an hour at this point and its central themes aren’t clear yet, but at a subconscious level it has already started demystifying the grandeur and honour associated with the Samurai code. The misleading nature of the Chijiwa flashback will become even more apparent as the story progresses and Hanshiro relates a tale of his own. We will discover something of young Chijiwa’s background, discover the circumstances that led him to the gates of the estate. In retrospect we will realise that when he asked for two days’ respite he was being sincere and would probably have returned to fulfill his promise. (When we first view the scene, we assume that he’s making an excuse to escape.) Our subsequent knowledge gives a whole new complexion to that early sequence, and makes a second viewing even more disturbing. 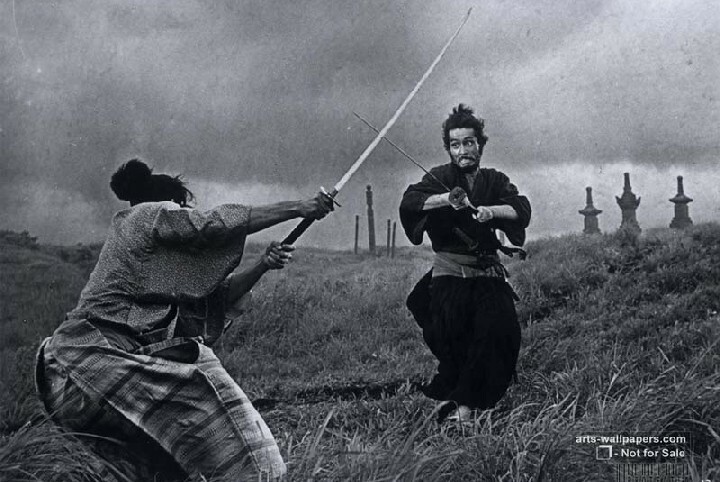 I’ve written mainly about (an aspect of) Harakiri’s narrative here but what strikes me most while watching it – especially in the sharp new transfer on the Criterion Collection DVD – is the cleanness of its composition. Some of its frames are like minimalist paintings, a reminder of Kobayashi’s gorgeously shot ghost film Kwaidan, which was full of sequences that look like lovely colour dreamscapes placed end to end. In their own discreet way, Harakiri’s black-and-white images are equally striking. Among the many high-quality action films with pacifist undertones is Kurosawa’s great The Seven Samurai, about ronin protecting a village from bandits. There’s a melancholy strain in this masterpiece, a genuine sense of regret for the loss of human lives, and its protagonist (the wise Samurai leader Kambei) is a reluctant hero who has already seen too much bloodshed for his liking. 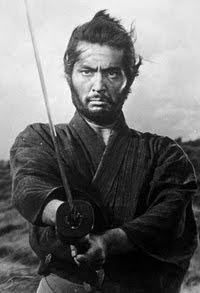 But precisely because Kurosawa is such a superb director of action, and because he puts us right in the middle of the battles, it’s impossible not to feel a thrill during those scenes – and this can end up being our lasting impression of the film. On the other hand, Harakiri has a formalness, a stillness, that goes with its plangent subject matter. A lengthy swordfight towards the end is filmed mainly in long-shot and though it’s extremely well-choreographed, there’s also something detached about it. We aren’t placed right in the middle of the blood and the grunts; there are several cutaways to Lord Saito sitting alone in an inner room, almost in a meditative state, listening to the swords clanging, waiting for his men to come and tell him that the fight is over. Even though Hanshiro is a truly heroic figure (in a deeper sense of the word “hero” than the average action film gives us), the emphasis isn’t on the glamour of his sword-fighting, merely its efficiency. It’s possible at this moment to see a Samurai warrior as an individual worker, doing a job that circumstances have equipped him for – rather than as a representative of a way of life. Kobayashi’s haunting film is about the human beings – men with families, hopes and emotions – beneath the garb of the Samurai. P.S. Tatsuya Nakadai, who plays Hanshiro, was one of the great Japanese actors. He makes a poetic remark in an interview included on my DVD of the film. “My twenties felt like a long climb up Mount Fuji,” he says, “and the burden I was carrying on my back was everybody’s masterpieces – the films of Kurosawa, Kobayashi, Ichikawa, Naruse.” It’s hard to believe Nakadai was only 30 when he played the aging, weary Hanshiro; it’s even harder to believe he’s the same actor who, only a year earlier, played the young, chuckling, pistol-wielding psychotic in Kurosawa’s Yojimbo. In a popular art form like cinema that appeals most strongly to the younger population, radical positions are always more fashionable than conservative ones. Movies that celebrate action and change are more popular than movies that defend the existing order. I agree that some of the classic Japanese films I've seen are relatively less afraid to take up unpopular positions when compared to mainstream Hollywood. I recall Ozu's Late Spring - an extraordinary film that chastises the spirit of gay abandon among youth and instead celebrates conformity as a virtue. It is that rare film that defends the old order without making a sentimental plea. Powell and Pressburger's masterpiece The Life and Death of Colonel Blimp is another favourite that, at the risk of seeming effeminate, defends fairplay and disapproves of the "killer instinct". Shrikanth: I get the general point of your comment, but I'm not sure that Late Spring (or any of Ozu's films) set out to "chastise" any particular approach to life. His point of view is that of the detached observer, recording people and their actions with that fixed camera. His very technique - refusing to use over-the-shoulder shots while two people are talking to each other, for instance - implies that he doesn't explicitly intend the viewer to identify with any one character's perspective. In that sense, his films are a interesting psychological experiment because when we do respond in a certain way to a character or an action, it comes purely from within us. Jai: I agree. The comment on Late Spring was my personal response to the film. I never cease to be moved while listening to Chishu Ryu's monologue towards the end. It is a very sincere argument in defence of "settling down", though not necessarily convincing to everyone. Though it may not have been intended as a message, the very idea of filming such monologues must've been deeply unfashionable in post-War Japan. Harakiri has, I think, the second-best use of canted angles I've seen (The Third Man is of course the first!). Love the switch from static narration to action. Chigiiwa's seppuku scene is difficult to watch inspite of the the black-and-white cinematography. A lot is effectively implied by keeping the violence out of the frame. Really insightful article on Japanese Cinema. 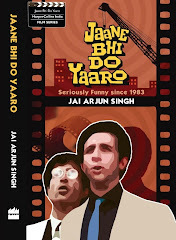 Can you suggest some easy way to get hold of these classics except downloading from net? Puranjaym: depends on where you're based, I suppose. I've got most of my "original copies" of world-cinema DVDs from Palika Bazaar in Delhi. Like I mentioned, the Criterion Collection has some outstanding Japanese titles, but I wouldn't be able to afford them at the original prices. Sudipto: Welles' Touch of Evil has some great canted angles too, but in Harakiri the occasional usage is much more unexpected, because most of the film is shot so formally.